The amazing BuilderSet technology enables you to quickly build your own professional website, complete with email, pictures, newsletters and much, much more in just a few short minutes. • Your BuilderSet site is so easy to use you will always be able to stay one step ahead of the competition. You can change your site’s features, sales, products and pricing in SECONDS! 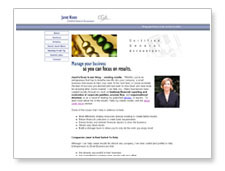 • Entering text directly onto your website is as easy as typing a letter. Your BuilderSet site includes two text editing tools, one of which looks just like MS Word with all the buttons and commands you already love to use. You know you need a website for your business but you don’t want to spend thousands of dollars for it. That is exactly why BuilderSet was developed and is perfect for you. BuilderSet has taken the most powerful technologies on the internet and combined them to make a super website building tool. BuilderSet is the most powerful and easy to use website building system anywhere. It is so perfect that it comes with an unconditional 100% no risk guarantee. You’ve seen websites like BuilderSet sites offered by professional designers and programmers. They cost between $2,500 and $15,000. They are usually designed on BuilderSet-like software that is exclusive to the design industry. BuilderSet is the only solution that allows you to have a professional designer-quality website and at the same time gives you the ability to easily update it whenever you require. Once your site is done, BuilderSet will register it with the search engines so the world can find you.